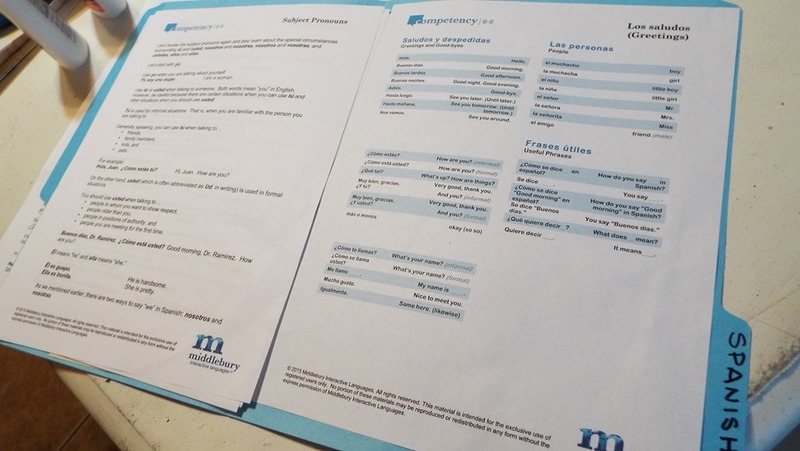 Middlebury Interactive Languages offered us choices of several languages to review with the crew. 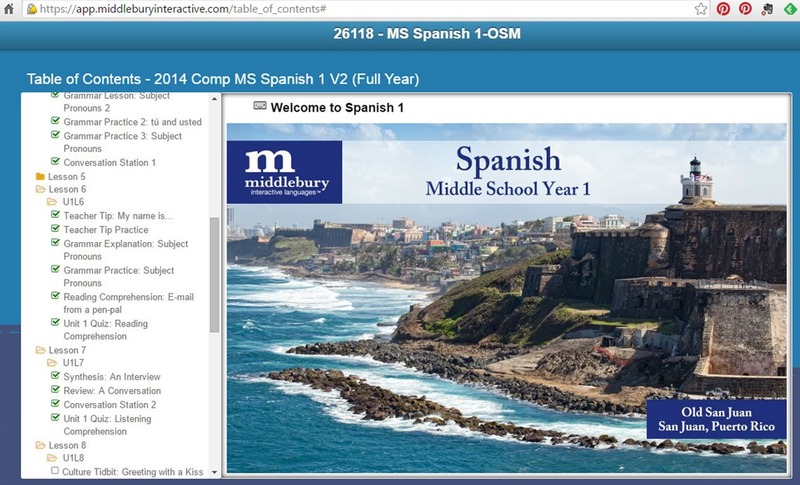 We chose Middle School Spanish 1 for our 9th grade homeschooled son. Why didn’t we choose High School? Because Middlebury’s classes are a bit advanced. 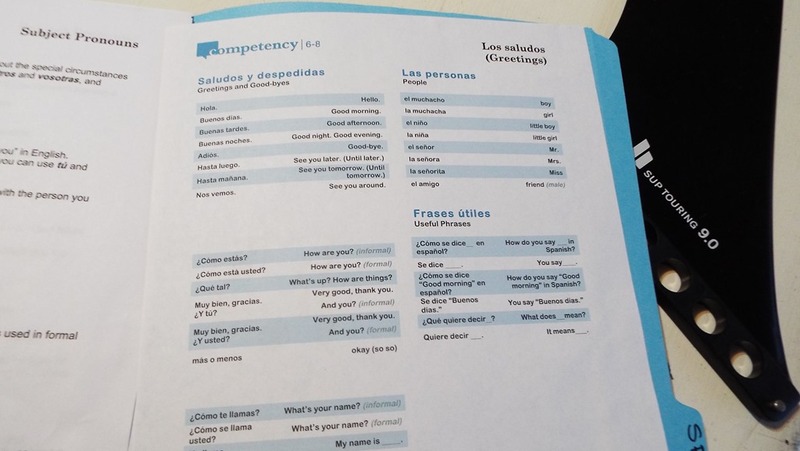 Last year we chose High School Spanish 2 to help a teen who had completed Spanish 1 at our local High School, and level 2 was way beyond where he found comfort, too difficult a challenge. It was simple to contact the company and choose a different level. Jon sat with our Junior last year and really enjoyed the course, so I knew he’d enjoy the program this year. To make sure he was comfortable, yet challenged, we chose Middle School Spanish 1. 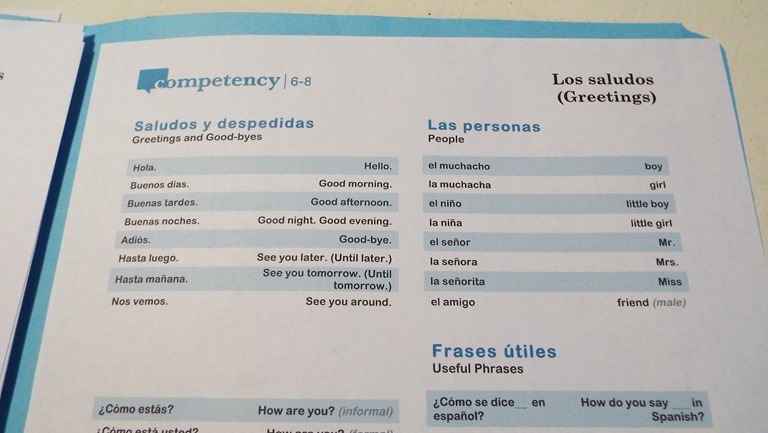 Spanish 1 is an immersion style program. We watch videos, listen to conversations, learn about their culture and see many examples of the language being used. Who is a friend, who is a more formal acquaintance? How do you greet them with respect? How does this program work? I have a link on my desktop which brings up the Table of Contents screen. It is nice that this program does not have a daily 3 step check in/passoword/screen change process. He clicks the link on the desktop, and is brought to the TOC. It is simple to know where you are, as the lessons drop down and are marked in Green when complete. Each lesson generally starts with an overview. The first year we tried this program we spent too much time on the first task. The following tasks break down this first screen. There are quizes to see if the student understands. 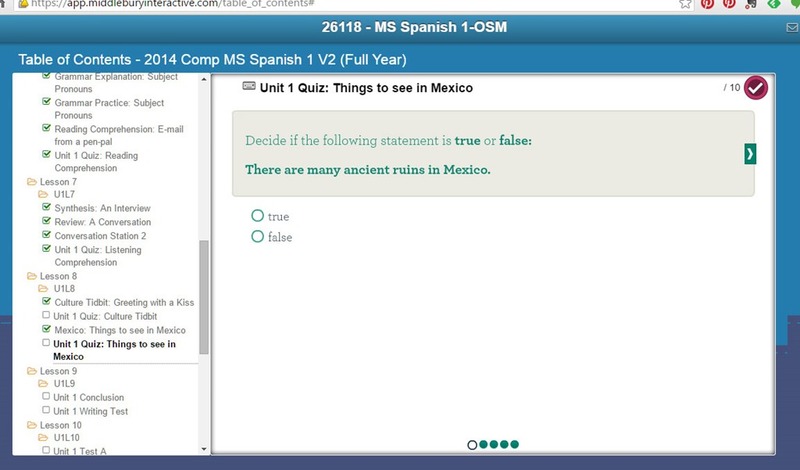 The one above is a true false quiz. Others have been photos representing the word or phrase and the student drags the words to the photos. They click the circle at the top right and of the screen to see how many are correct. For most of the quizes so far, you’ll know which ones are wrong and just keep trying. This particular quiz has been the hardest one yet. So far Jon has only gotten a 4/6 correct. This is where we ran into difficulties. With the level we received, we do not have any access to a teacher’s account. That is nice – as I have no prep, the program moves the student along. But – when there are areas where both of us do not know the answer, then you just get it wrong. 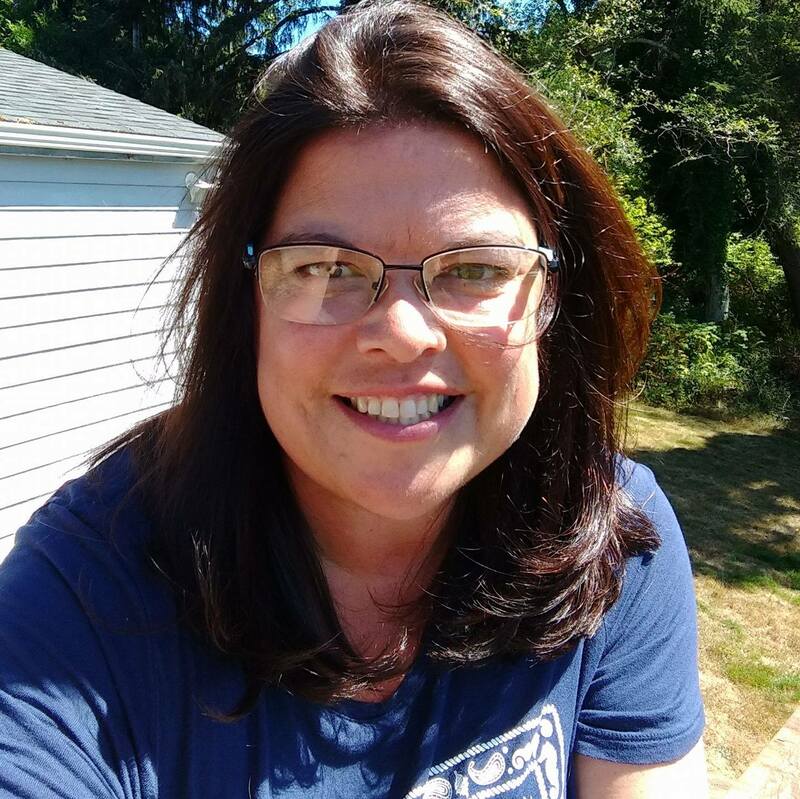 I did notice online that you can purchase a ‘with teacher’ package and if your child really needs a credit for this, or is the type that really wants 100% scores, that might be a good path. For the one above, we knew the words were right, or pretty close. I think he was missing hearing the tense, or caps were wrong, we tried both tenses and caps/no caps, and couldn’t get them right, even looking at the transcript. Which brings me to another way we used the class. Jon was doing really well. He’s taken several Spanish classes with the crew, but mostly at a lower introduction, let’s be familiar with Spanish sort of a thing. He knows the words for Table and Fork and a few others that he tosses in, but not enough to hold a conversation. Middlebury wants you to be able to hold conversations very early on. Or at least be trained to pick up clues in conversations to know of they are close friends, and what they might be talking about. Jon (and I) were not paying attention to the actual printed words on the screen. Seeing the words as whole and not seeing the spelling. Then he hit a grammar unit. ha. Bad news. After a bit of digging I figured out that we could print the transcripts of some of the videos and on the first of the lessons there are small buttons to be found to print the text. Hind sight 20/20, I would have printed this at lesson 1, instead of lesson 6 or 7. We have a semester to finish and Jon is stoked to continue. He works with several Spanish speaking friends and would like to greet and have a few sentences with them. He also has plans after high school to travel south and surf or join English Teaching classes or Missionary type adventures. This is the first time he has had a direct motivation to learn Spanish to USE it, instead of learn the language to pick up a few fun words to awe his friends. We reviewed several languages with the crew, with all different age levels. 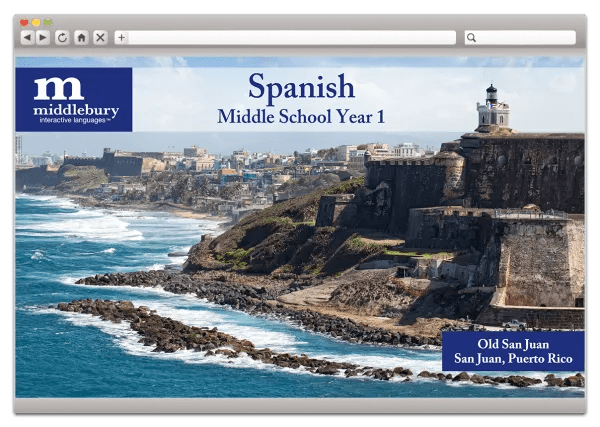 If you click the banner below, you’ll see dozens of homeschool families that used this online digital resource to bring languages into their homes. 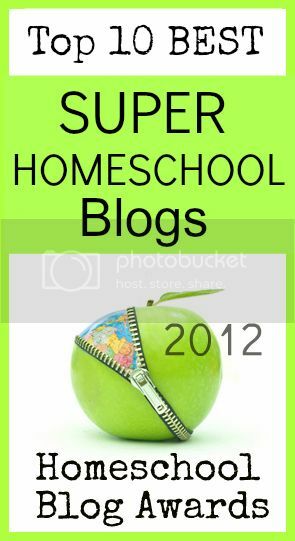 This entry was posted in Language, Reviews and tagged Boys, digital, High School, HomeSchool, hsreviews, immersion, Middle School, Online, spanish. Bookmark the permalink.